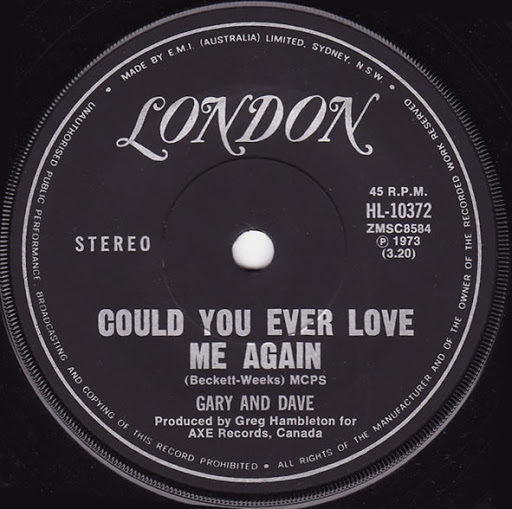 Song of the day: Gary and Dave – "Could You Ever Love Me Again"
The main reason I’m including it here is because of a strong love/hate (more love than hate) relationship I’ve had with this song ever since the time, as a teenager, I went over to my best friend John’s house. For a laugh, we decided to play “Could You Ever Love Me Again” over and over again – as soon as the song finished, we put it on again. I think that lasted about two hours (or maybe it was one hour and felt like two). However many times we played it, we had a heap o’ fun hearing it over and over again. You are currently browsing the archives for the Gary and Dave category.